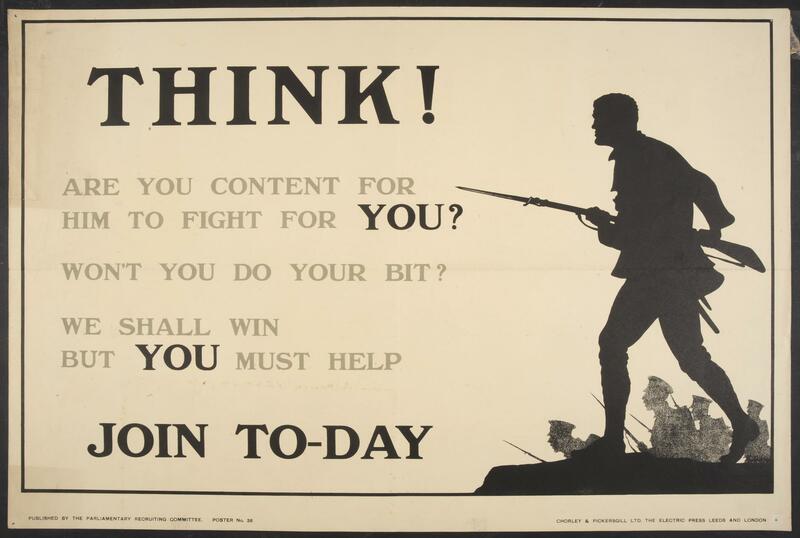 First World War recruitment poster; 'Are you content for him to fight for you? Won't you do your bit? We shall win but YOU must help'; Published by the Parlaimentary recruiting Committee, London; poster no.38. Silhouette of advancing soldier with bayonet fixed, used with this question to instil shame in those who have not joined up.